Women as Players of Water Polo - Jersey's struggle with Swansea. 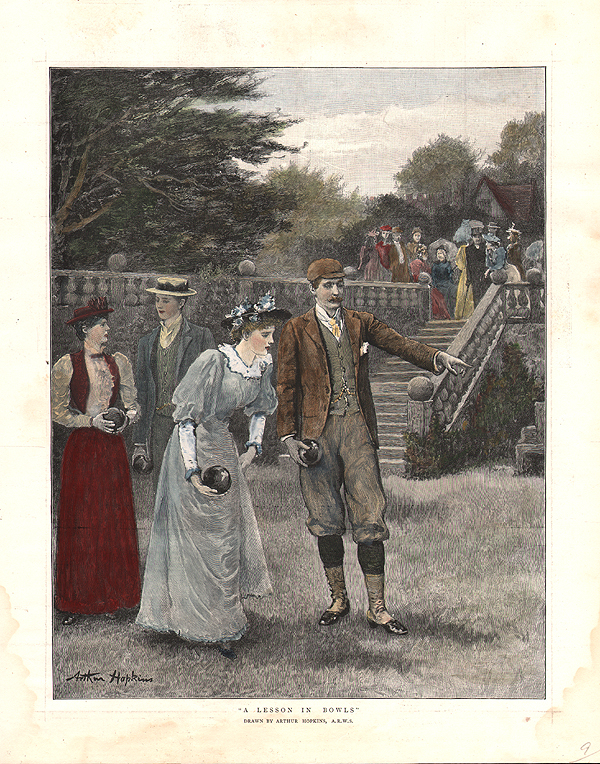 An antique engraving after Ernest Prater, which was published in 'The Shere' on October 13th, 1900 with later hand colouring. 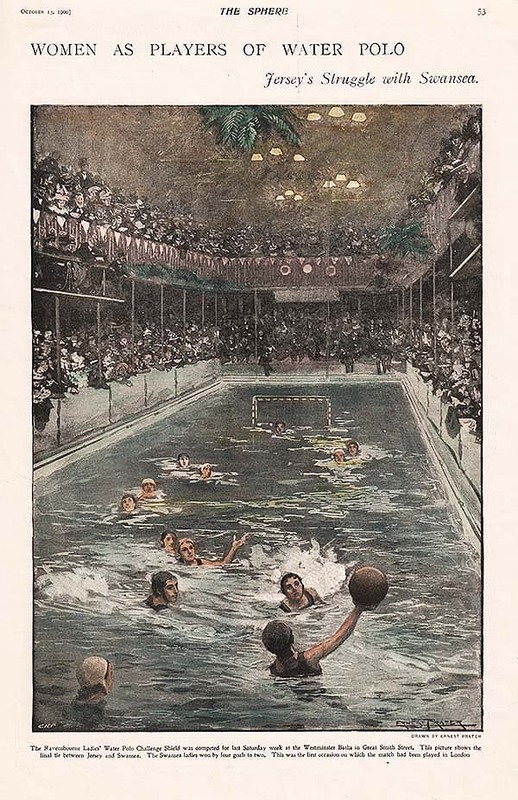 This match was the final tie for the 'Ravensbourne Ladies Water Polo Challenge Shield' between Jersey and Swansea at the Westminster Baths, Great Smith Street, London. The Swansea ladies won by four goals to two. 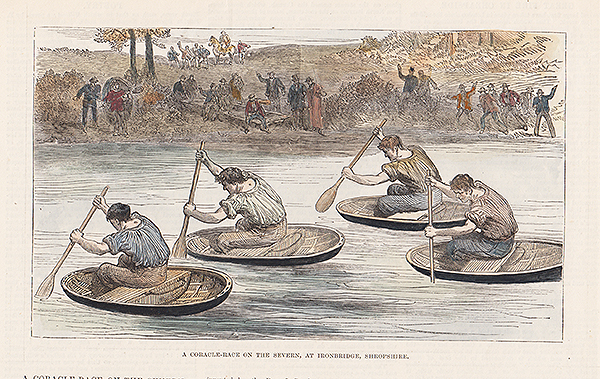 A Coracle Race on the Severn at Ironbridge, Shropshire. 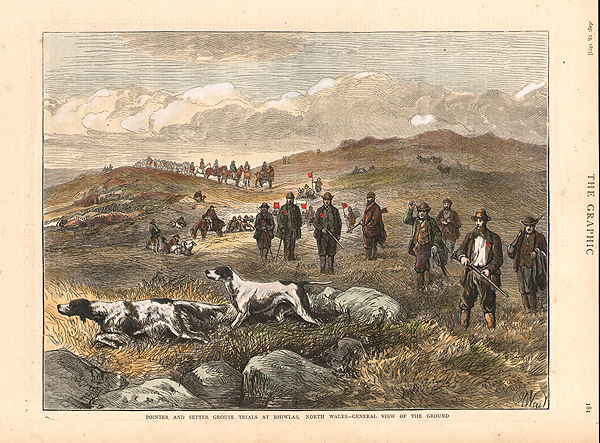 An antique woodcut engraving which was published in "The Illustrated London News" on September 10th, 1881 with later hand colouring. Earth Stopper - Henry Alken. 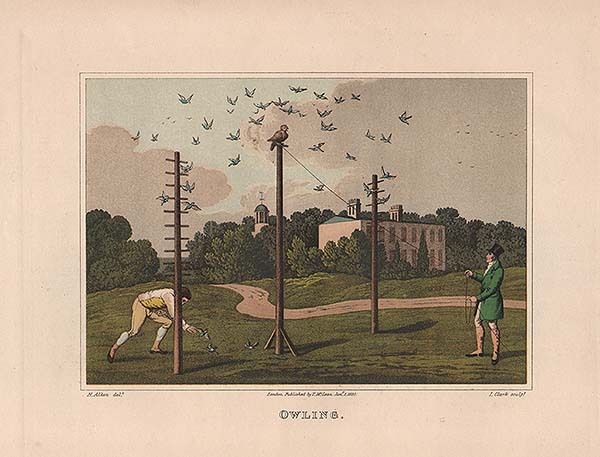 More Info A coloured plate from an engraving by I. Clark after Henry Alken (1785-1851). 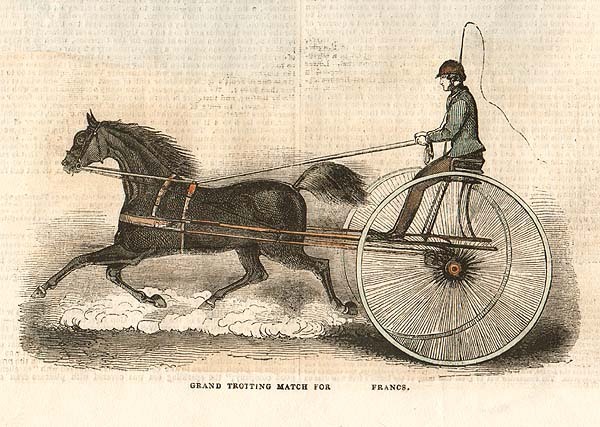 Originally published in Alken's "The National Sports of Great Britain with descrioptions in English and French" in 1823. This plate was published by Methuen and Co. 36, Essex Street, W.C. London in 1903. A coloured plate from an engraving by I. Clark after Henry Alken (1785-1851). Originally published in Alken's "The National Sports of Great Britain with descrioptions in English and French" in 1823. 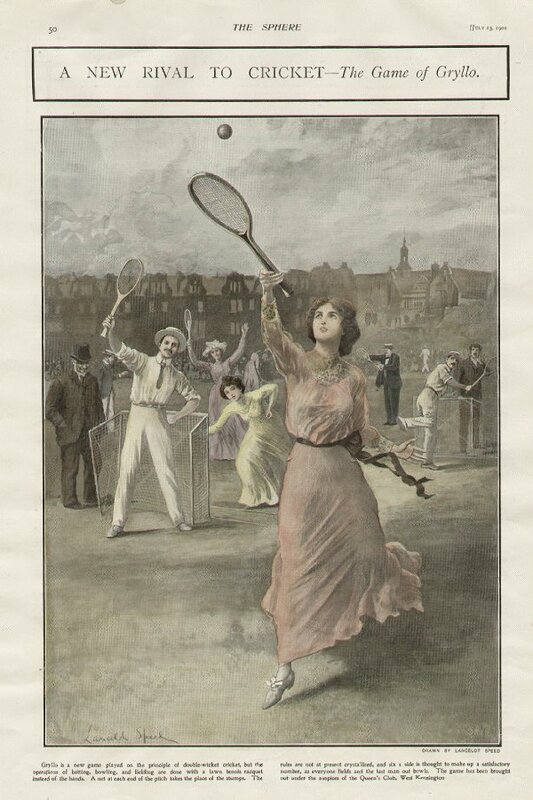 This plate was published by Methuen and Co. 36, Essex Street, W.C. London in 1903. 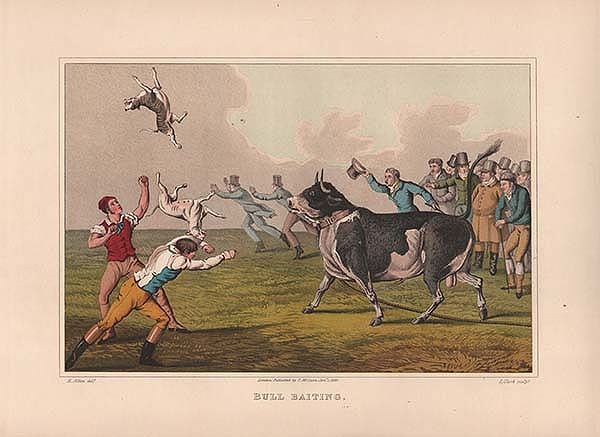 Bull Baiting - Henry Alken. 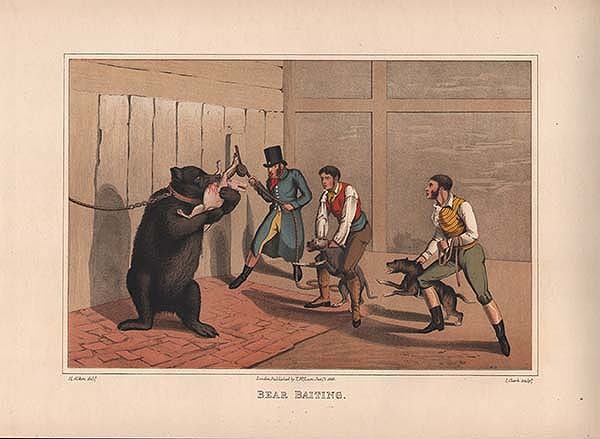 Bear Baiting - Henry Alken. 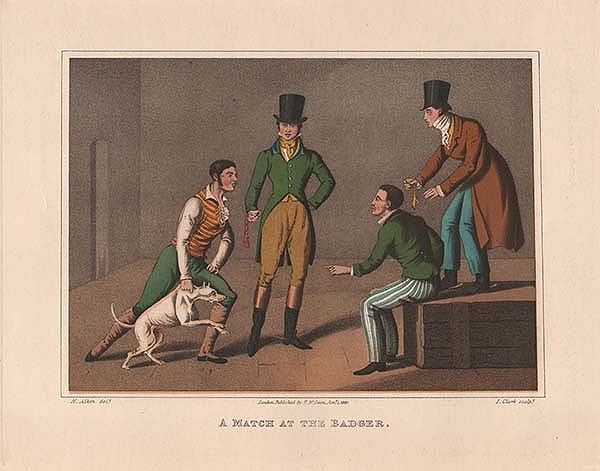 A Match at the Badger - Henry Alken. 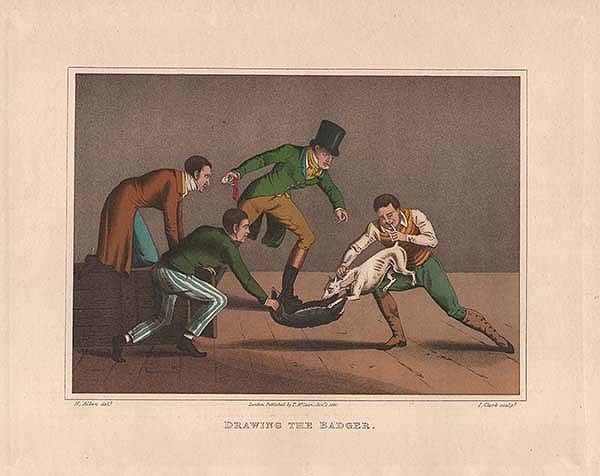 Drawing the Badger - Henry Alken. 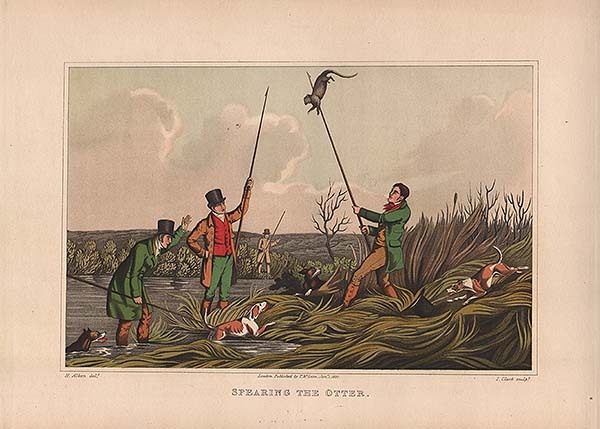 Spearing the Otter - Henry Alken. An antique woodcut engraving which was published in "The Illustrated London News" May 1st, 1869 with later hand colouring. 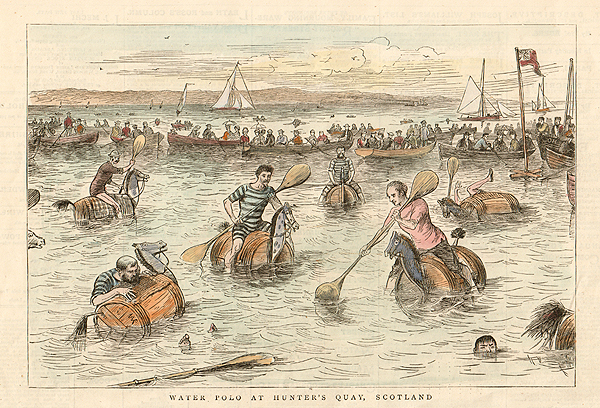 Water Polo at Hunter's Quay, Scotland. An antique woodcut engraving which was published in "The Graphic" newspaper on September 18th. 1880 with later hand colouring. 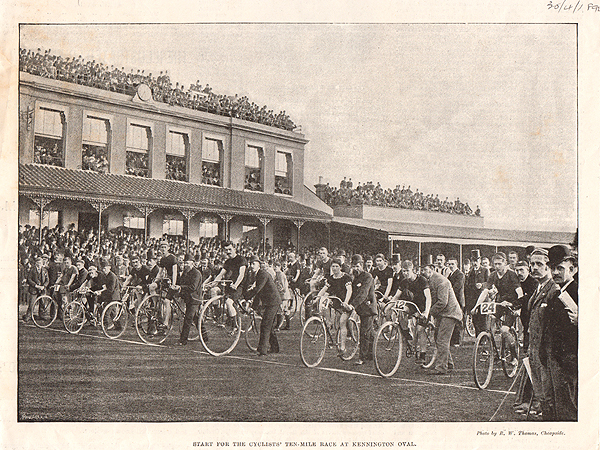 Start for the Cyclist's Ten - Mile Race at Kennington Oval. An antique photograph which was published in "The Illustrated London News" on 30th April, 1892. 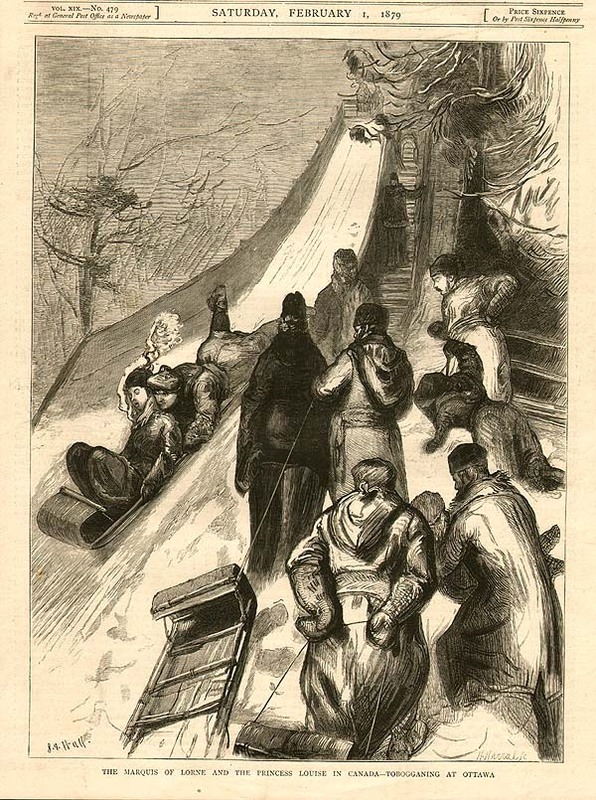 The Marquis of Lorne and the Princess Louise in Canada - Tobogganing at Ottowa. An antique woodcut engraving which was published in "The Graphic" on Saturday , February 1st, 1879. An antique woodcut engraving which was published in "The Illustrated London News" on Ausust 12th, 1843 with later hand colouring. 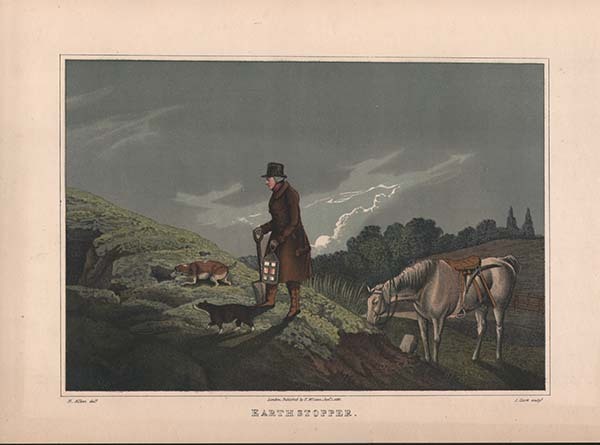 An antique woodcut engraving after Arthur Hopkins, A.R.W.S. which was published in "The Graphic" on October 14th, 1893. Later coloured by hand. The Lacrosse Match, North v. South, at the Chrystal Palace on April 18th. An antique woodcut engraving which was published in "The IllustratedLondon News" on April 20th, 1901. Later coloured by hand. 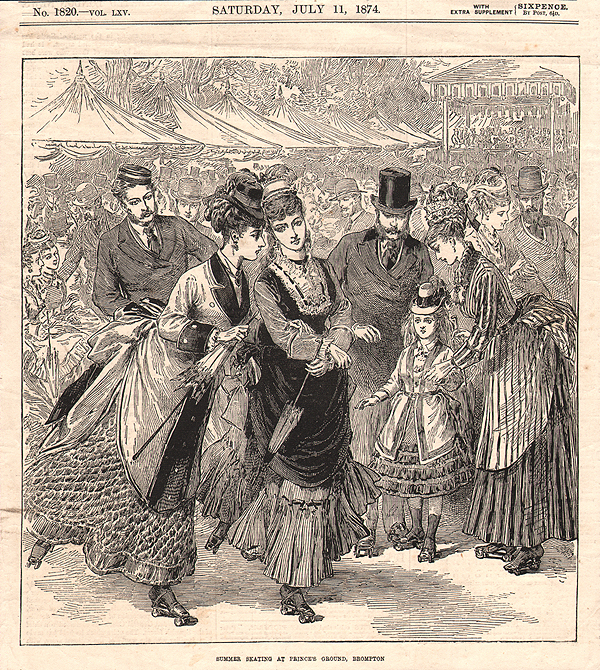 An antique woodcut engraving after F. Dadd which was published in "The Illustrated London News" on March 21st, 1885. Later coloured by hand. Summer Skating at Prince's Ground, Brompton. An antique woodcut engraving which was published in "The Illustrated London News2 on Saturday, July 17th, 1874. 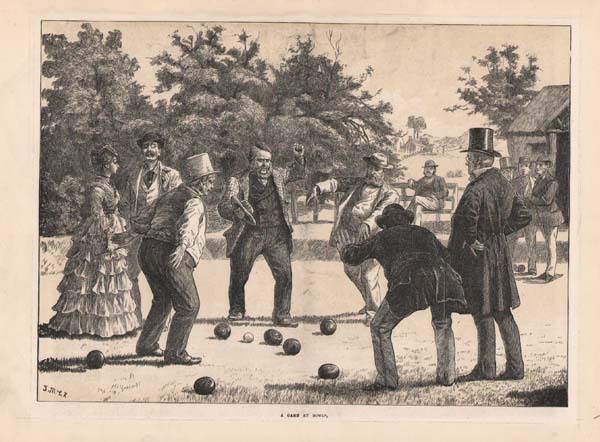 A woodcut engraving entitled "Curling Match by W. Small"" published in "The Graphic" on December, 25th, 1869. The colouring is later. A woodcut engraving entitled "Curling in Scotland" published in "The Illustrated Sporting and Dramatic News" on March, 8th, 1879. The colouring is later. Curling at an Ice Rink, Manchester. A woodcut engraving published in "The Graphic" on 24th March, 1877. The colouring is later. International Baloon - Race from Crystal Palace. Antique woodcut engravings which were published in "The Illustrated London News" on October 30th, 1880. Later coloured by hand. 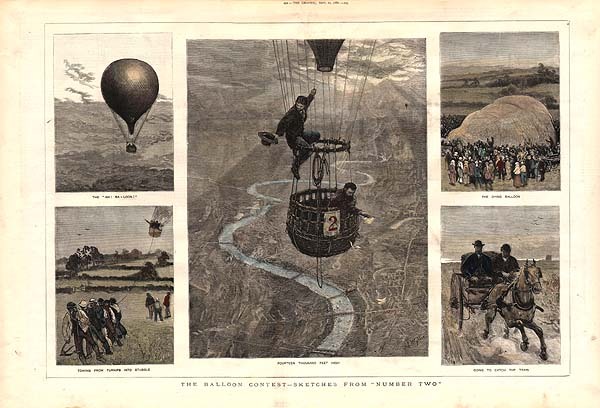 An account of the balloon race between an English and French balloon is on the verso. 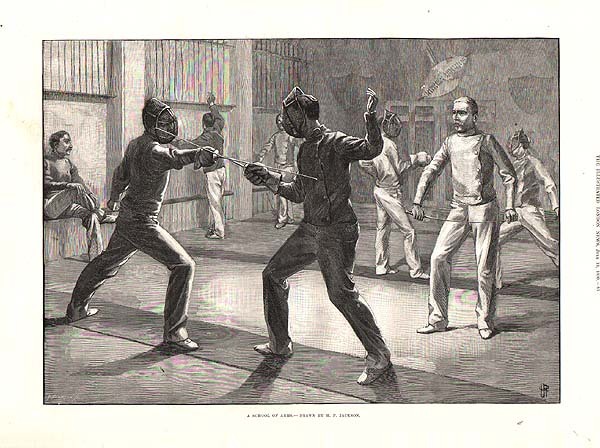 An antique woodcut engraving of a Fencing Class which was published in "The Illustrated London News" on July 19th, 1890. Sketches at the Waterloo Cup Meeting. 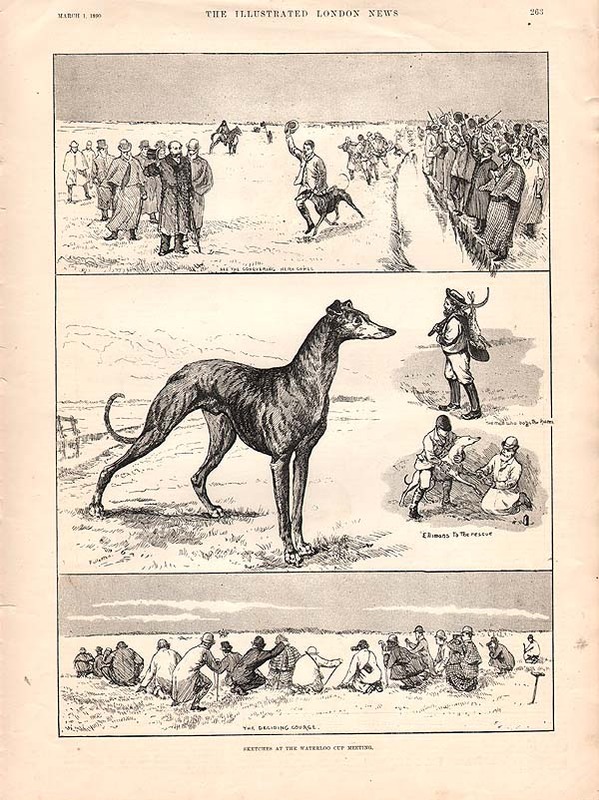 Antique woodcut engravings which were published in "The Illustrated London News" on March 1st, 1890. Ballooning - The Balloon Contest - Sketches from "Number Two". Antique woodcut engravings which were published in "The Graphic" newspaper on September 11th, 1880. Later coloured by hand. An antique print by Charles Crombie from the cover of 'Fry's the Outdoor Magazine' edited by C.B. Fry. Published in 1905. Laid on card with some loss to image in top right corner. 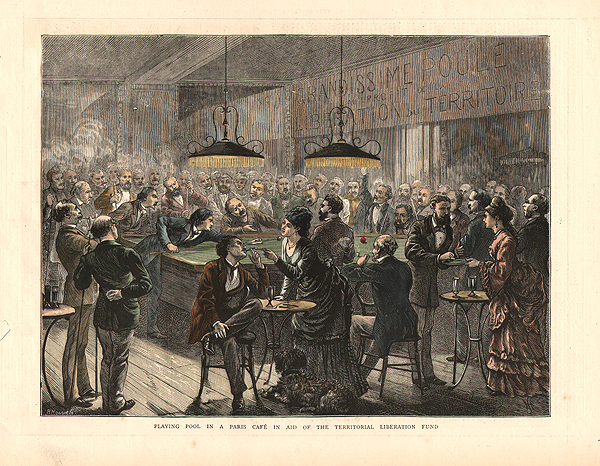 Playing Pool in a Paris Cafe in aid of the Territorial Liberation Fund. An antique woodcut engraving which was published in "The Graphic" newspaper on April 6th, 1872. Later coloured by hand. 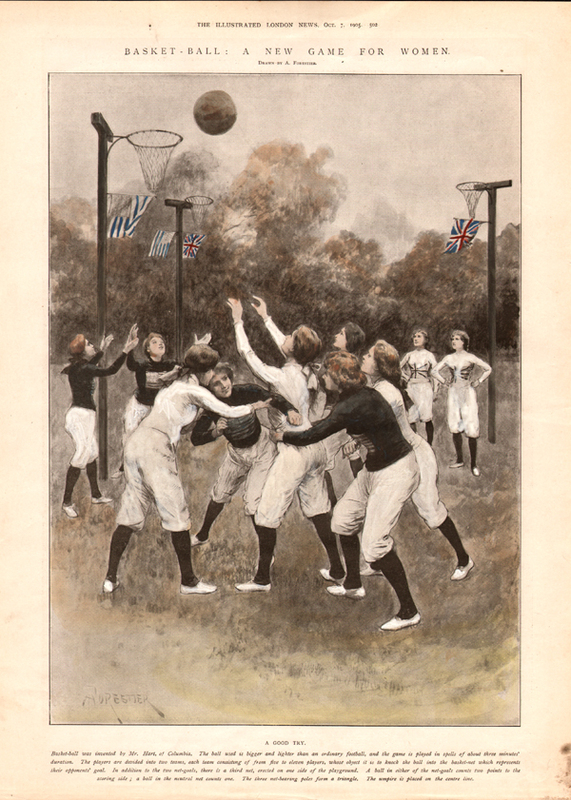 Basket - Ball : A New Game for Women. An antique engraving from a drawing by A. Forestier which was published in "The Illustrated London News" on Oct. 7th, 1905. Later coloured by hand. Pointer and Setter Grouse Trials at Rhiwlas, North Wales - General view of the ground. An antique woodcut engraving which was published in "The Graphic" newspaper on August 23rd, 1873. Later coloured by hand. A repaired tear in bottom margin extends 2cms into image to the left of centre. 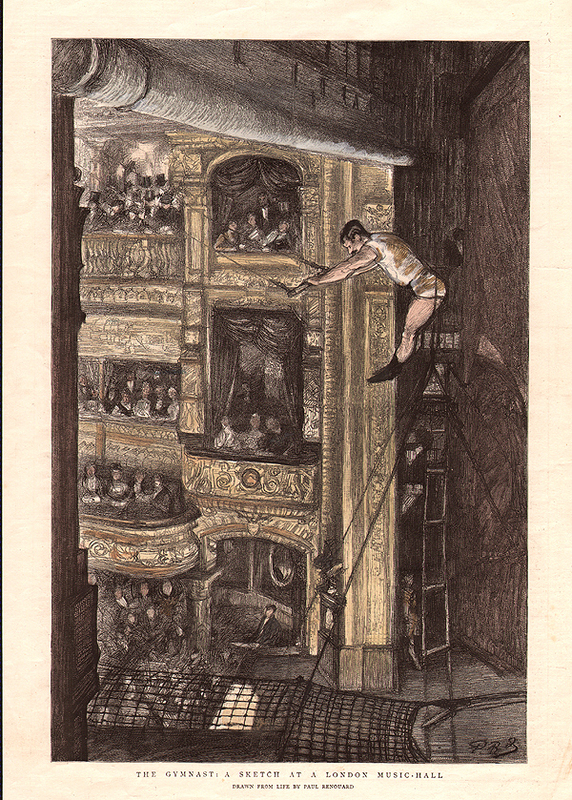 The Gymnast : A Sketch at a London Music - Hall. Drawn from life by Paul Renouard. An antique woodcut engraving which was published in "The Graphic" newspaper on September 3rd, 1893. Later coloured by hand. 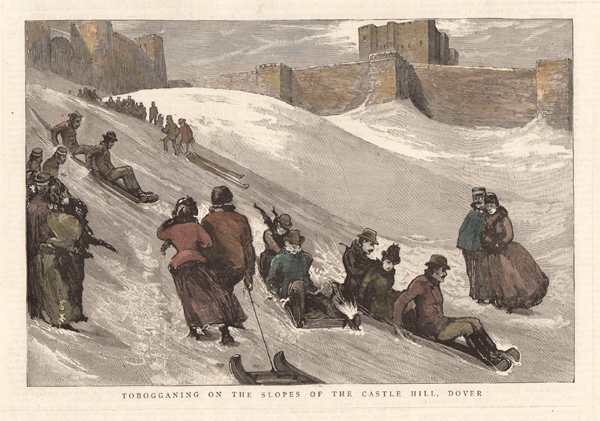 Tobogganing on the slopes of the Castle Hill, Dover. An antique woodcut engraving . Circa 1887. Later coloured by hand. 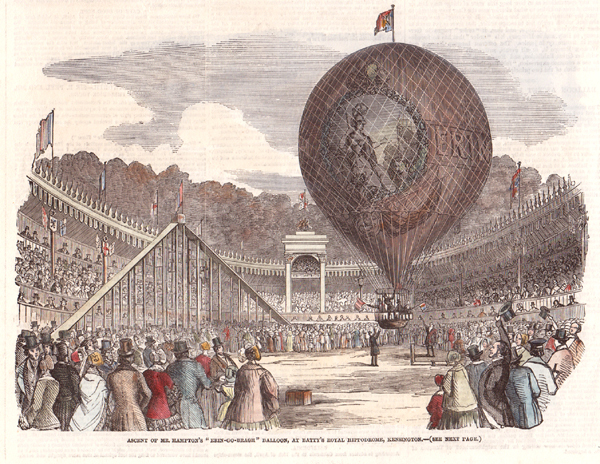 Ascent of Mr. Hampton's "Erin - go - Bragh" Balloon, at Batty's Roytal Hippodrome, Kensington. An antique woodcut engraving which was published in "The Illustrated London News" on 7th June, 1851. Later coloured by hand. 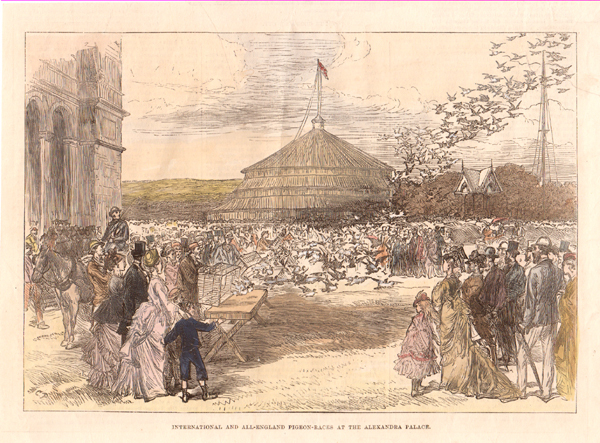 International and All-England Pigeon-Races at the Alexandra Palace. An antique woodcut engraving which was published in "The Illustrated London News" on 31st July, 1875. Later coloured by hand. Repaired tear in top right corner of image. An antique woodcut engraving published in "The Illustrated London News" on June 22nd, 1872. A Bicycle tour in France. Antique woodcut engravings which were published in "The Graphic" on July 24th, 1886. An antique print entitled "Taplow Court" produced for the famous Victorian Magazine "Vanity Fair" founded by Thomas Gibson Bowles which commenced publication in 1869. For about forty five years caricatures of famous and infamous personalities were carried in the weelky issues of Vanity Fair. Subjects included Royalty, judges, politicians, musicians, sportsmen, artists, actors and criminals of Victorian and Edwardian Britain. This print by 'Spy' was published on 20th December, 1890. An antique print entitled "Henry" produced for the famous Victorian Magazine "Vanity Fair" founded by Thomas Gibson Bowles which commenced publication in 1869. For about forty five years caricatures of famous and infamous personalities were carried in the weelky issues of Vanity Fair. Subjects included Royalty, judges, politicians, musicians, sportsmen, artists, actors and criminals of Victorian and Edwardian Britain. This print by 'Ape' was published on 24th April, 1880. 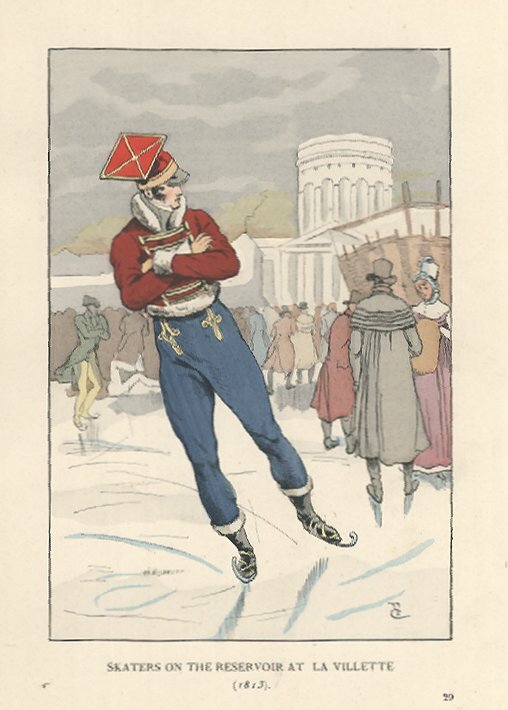 The Reopening of the Skating Season at Prince's Club, Knightsbridge. An engraving after Sydney Seymour Lucas which was published in "The Graphic" newspaper on October 30th, 1909. Cycling - The Old Order Changeth. A woodcut engraving which appeared in "The Illustrated London News" on June 25th, 1892. The colouring is later. A woodcut engraving entitled "Working for pleasure : The Roller Skater's Roundabout" which was published in "The Illustrated London News" on 18th December, 1909. Mountaineering "Is he justified ? A life and death problem of mountaineering." A woodcut engraving which was published in "The Illustrated London News" on February 23rd, 1907. A line engraving by E. Hacker after G.H. Laporte entitled "Margaretta - Sister to Mocking Bird and Marmosette", published in 1852. The colouring is later. 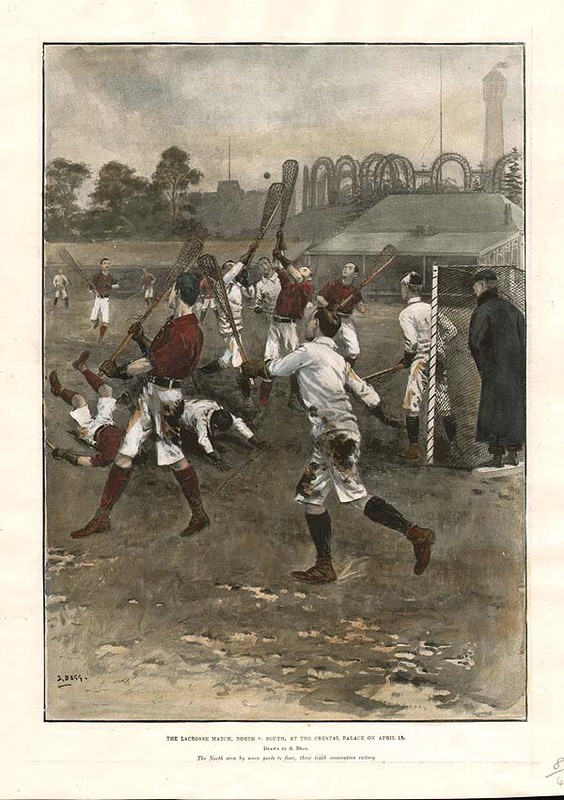 A woodcut engraving entitled "Trotting Match at the Alexandra Palace" published in "The Graphic" on November, 8th, 1879 The colouring is later. Skating Match at Littleport, Cambridgeshire ; Final Heat between J. Smart and T. Wells. A woodcut engraving entitled "Skating Match at Littleport, Cambridgeshire : Final Heat between J. 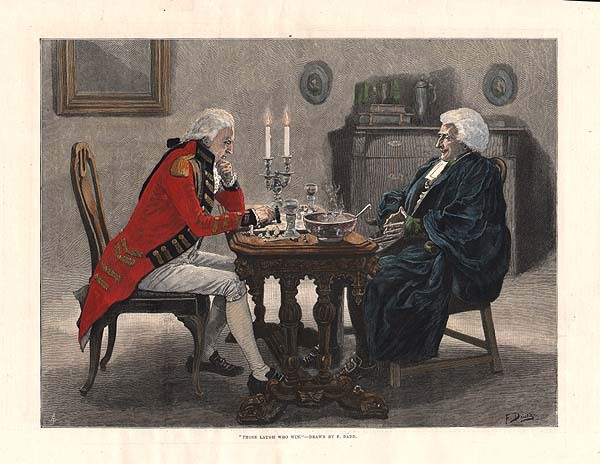 Smart and T. Wells" published in "The Illustrated London News". Circa 1880. The colouring is later. The Ladies Gymnastic Display at the Goldsmith's Institute. 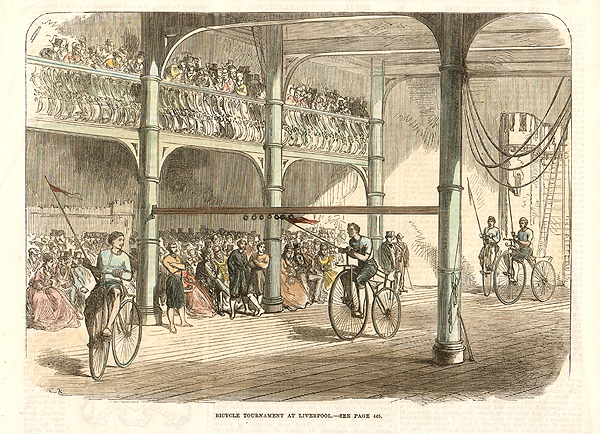 A woodcut engraving entitled "The Ladies Gymnastic Display at the Goldsmith's Institute" published in "The Illustrated Sporting and Dramatic News" on 2nd June, 1894. The colouring is later. A woodcut engraving published in "The Illustrated London News" on September 1st, 1883. Juvenile Fete and Balloon Race at Cremorne Gardens. A woodcut engraving published in "The Illustrated London News" on September 17th, 1859. The colouring is later. Cycling - A Pedestrian Hobby Horse. A well known aquatint engraving entitled "Pedestrian Hobby Horse. Circa 1814. Original colouring. This engraving has been trimmed back to the image on all four sides. Skaters on the Reservoir at La Villette. An attractive print published in 1898. The colouring is original. 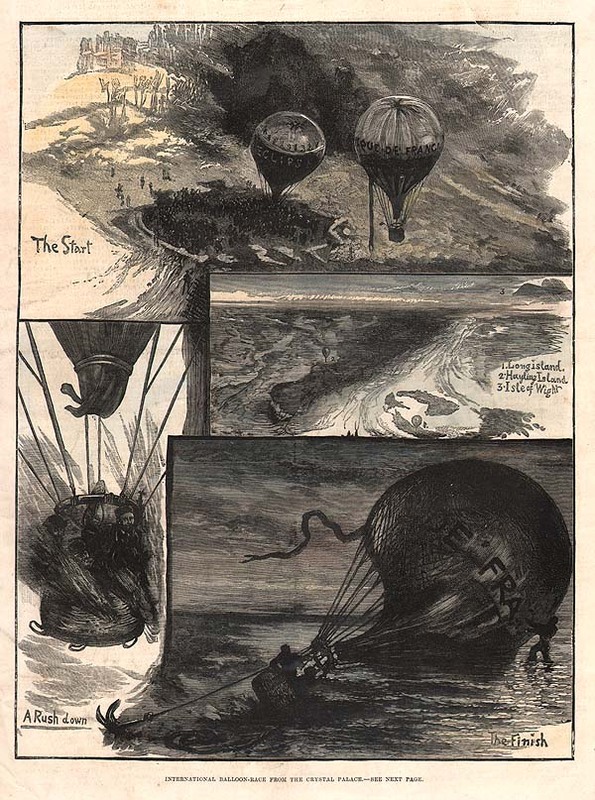 An engraving published in "The Sphere" on July 13th, 1901. 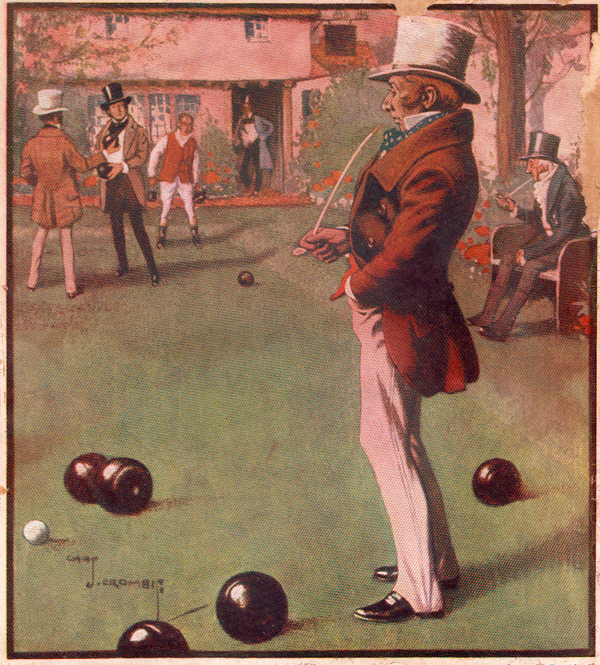 The colouring is later.The Game of Gryllo - A new rival to cricket drawn by Lancelot Speed.